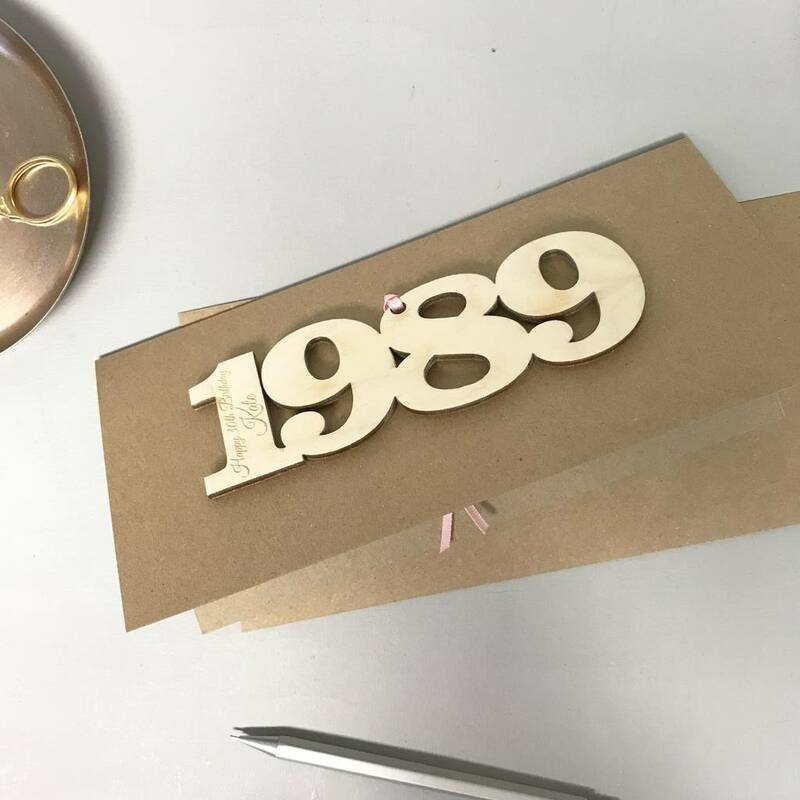 Celebrate a 30th birthday year with our unique personalised keepsake cards, individually made from 3mm birchply wood, and carefully engraved with the recipient's name. 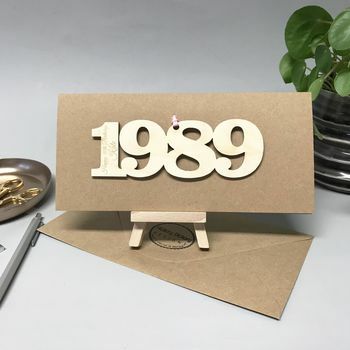 A unique and contemporary collection of birthday cards, the year the recipient was born is cut from birch wood and engraved with their name. 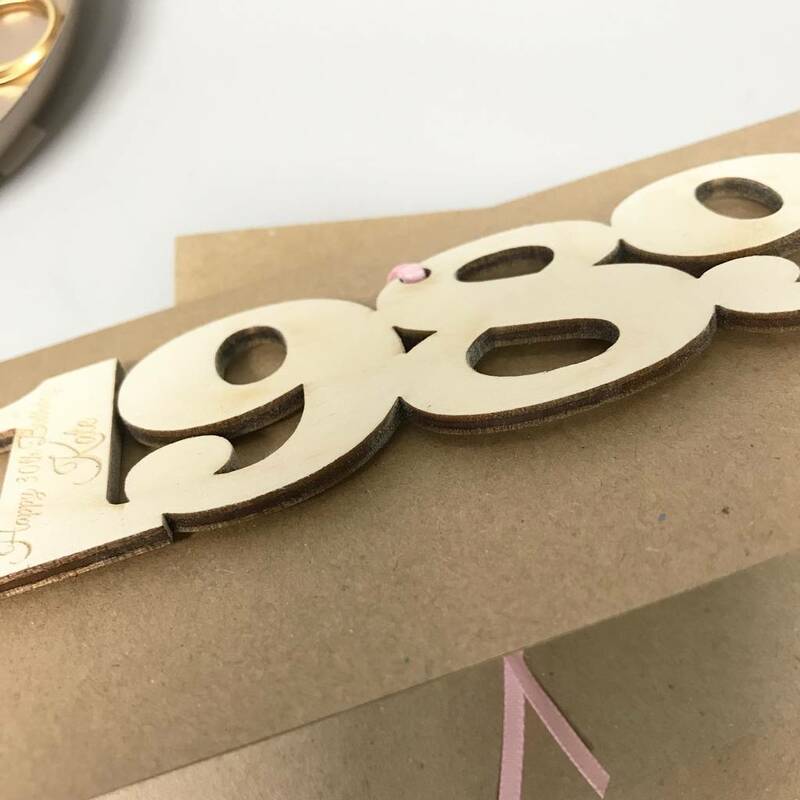 Our personalised 30th Birthday 1989 wooden motif is engraved with 'Happy 30th Birthday' and the name of the recipient. 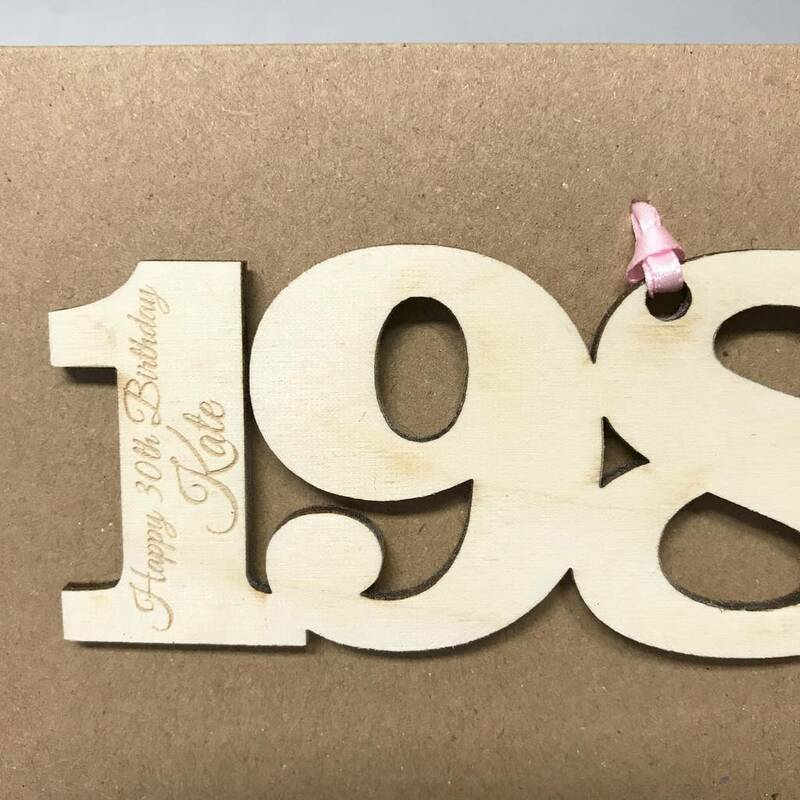 Choose your card colour from brown kraft or cream, and your ribbon colour from red, blue, pink, purple, yellow, gold or silver. 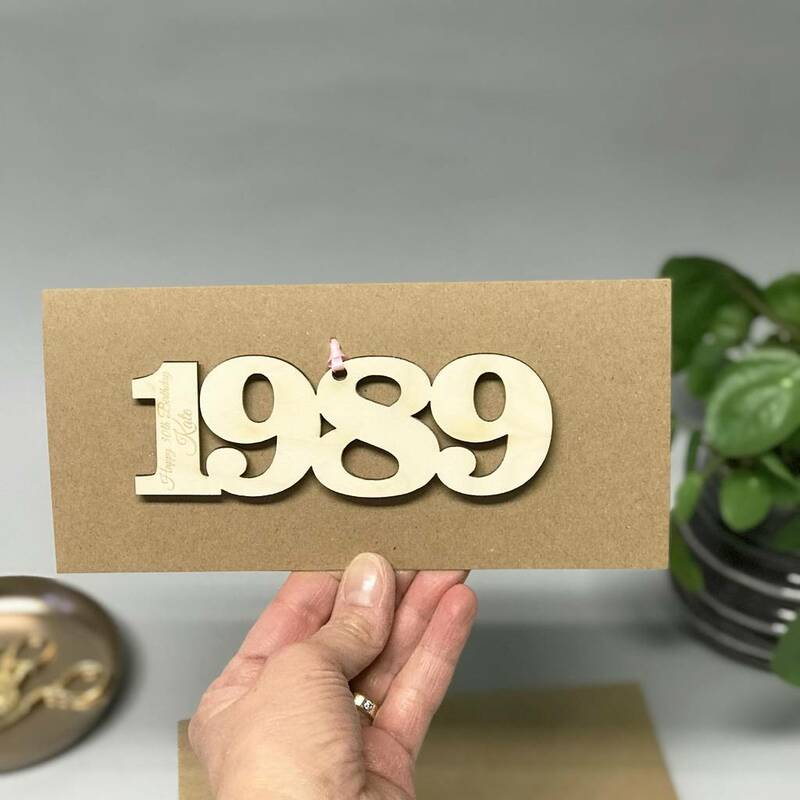 Please tell us the year that you require and we will cut it out for your card. After the event, our cards are a charming keepsake and can be framed as a token reminder of the special day. 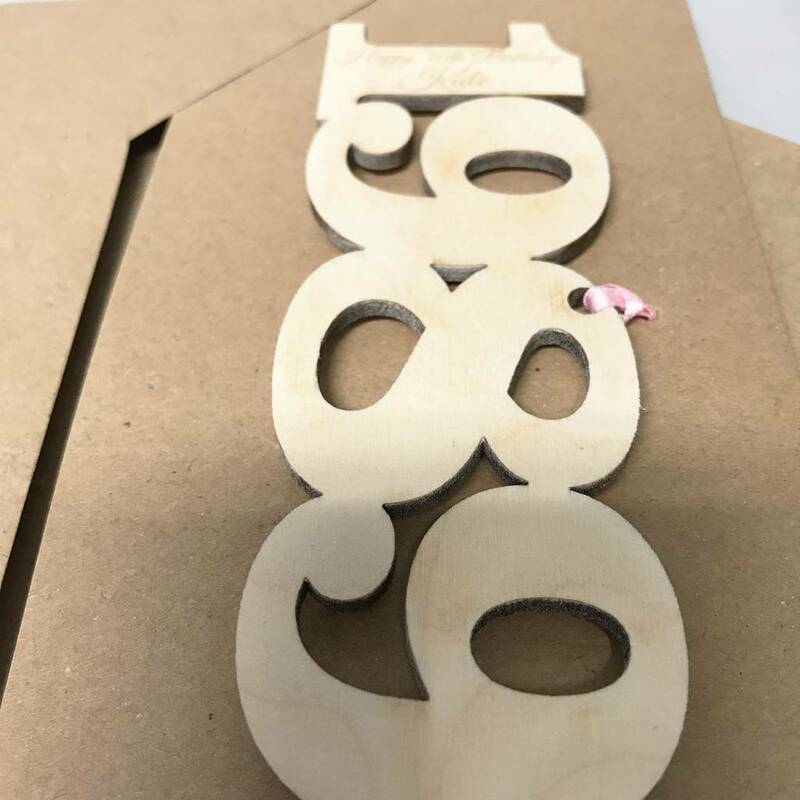 We use a smooth light coloured wood. 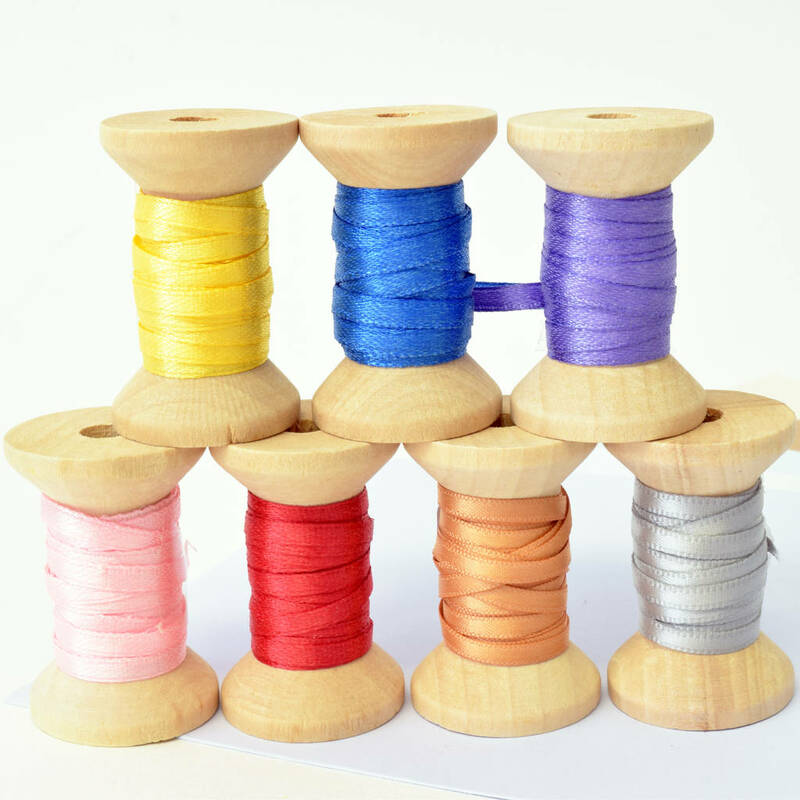 However, should there be any irregularities on the surface please see these as natural qualities of the material. 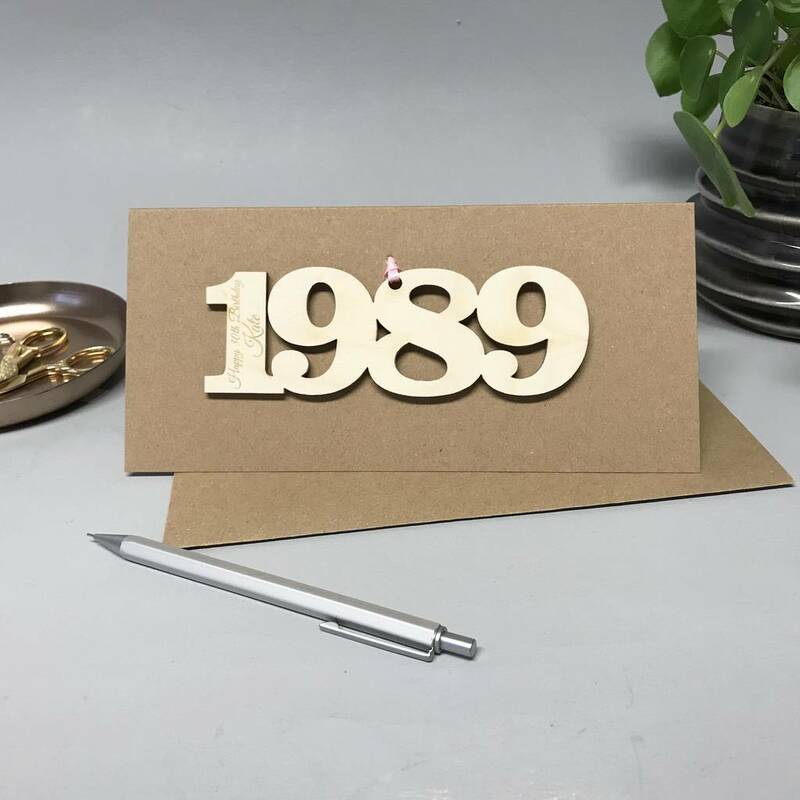 Our Personalised birthday cards are a token keepsake which are a delightful record, and thoughtful gift. 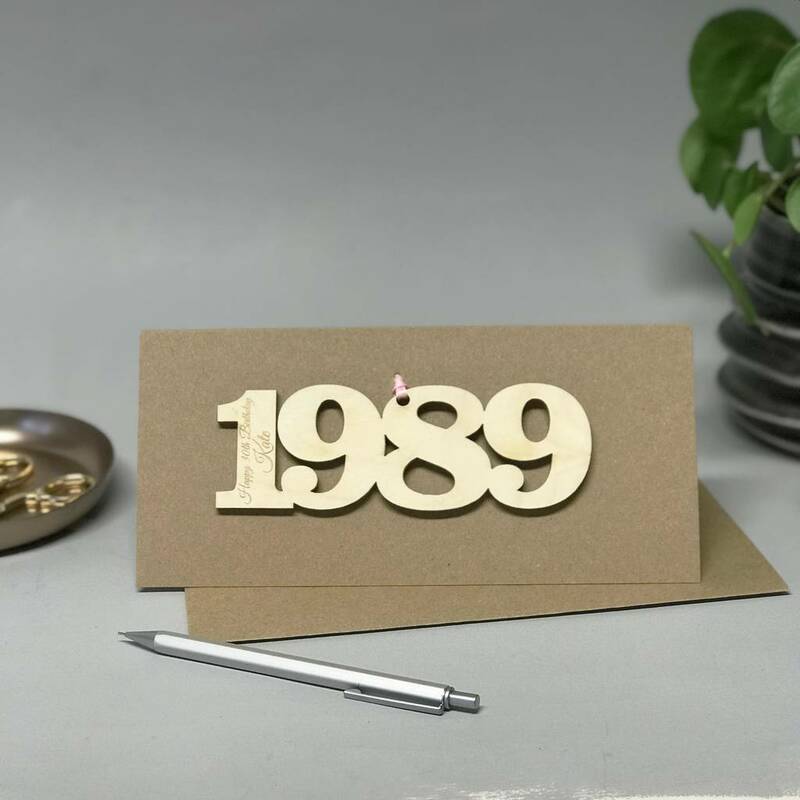 You have chosen a thoughtful card as it has longevity and is a lasting reminder of how time flies. 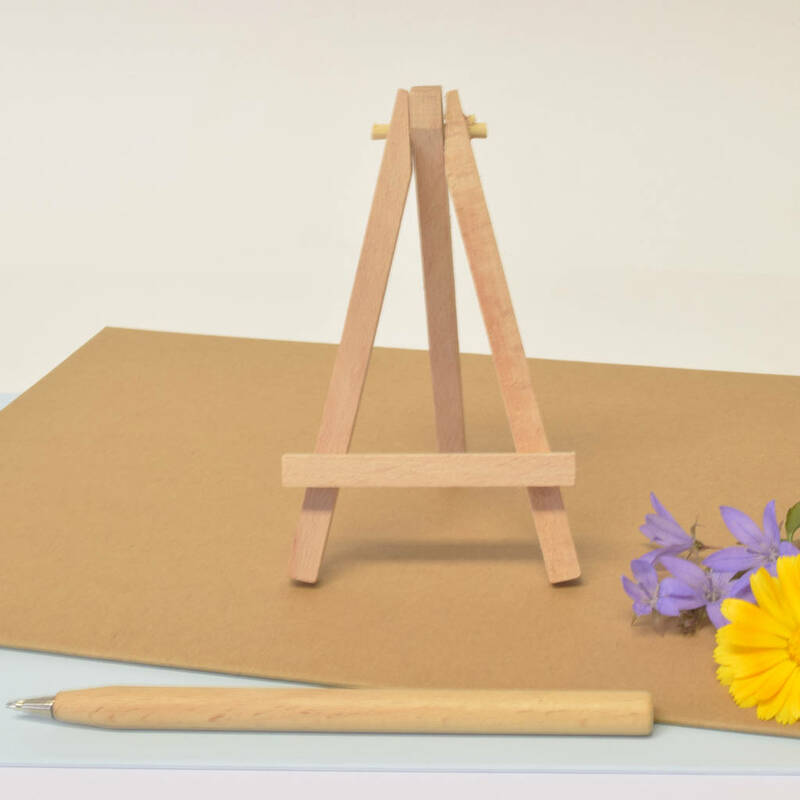 They will look delightful for years, because we have made them from durable 4mm birch ply wood. 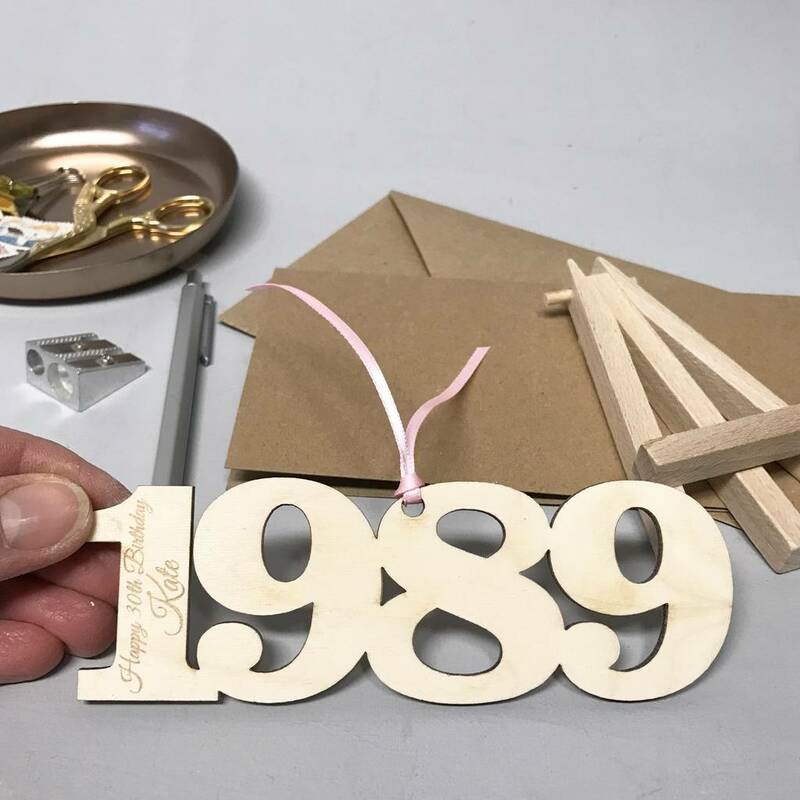 In a world of throwaway cards, we hope that our wooden keepsakes will become something to treasure and a reminder of the special birthday you are celebrating.